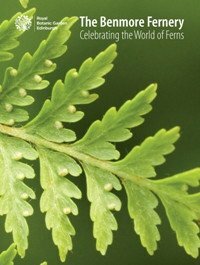 Discover the world of ferns with this illustrated guidebook from RBGE. The Fernery at Benmore is a unique building, constructed for James Duncan at his Benmore estate in the early 1870's at the height of the Victorian fern craze. This wonderful little book provides an overview of the history of the Fernery and the project that was undertaken to restore it. In addition, it highlights the fern collections in the four RBGE gardens (Edinburgh, Benmore, Dawyck and Logan) and provides an overview of the native Scottish ferns.